1992 is when I found out that there was an all-black Cavalry regiment named the Buffalo Soldiers who served from 1866 during the Indian Wars up to the Korean War in 1952. I first became acquainted with a unit in the Denver, Colorado area. One day I received a call asking how I would like to become a Buffalo Soldier. My answer was who are the Buffalo Soldiers, soldiers who kill off buffalos? Following a pause on the phone the answer was “no.” From there he began to give me a brief history. I was amazed that none of it was taught in school. All I knew was about General Armstrong Custer according to my history teachers. The eye-opening call and explanation had come from my cousin, John W. Bell, President of the Denver chapter of the Buffalo Soldiers. So, I told my wife about the conversation I had with “JW.” Her reply was to go the archives and library to find out about them. With her help I did. Once I found some history about them and what they did I became interested in them. I did find out that my uncle and one of my cousins who lived in St. Joseph, Missouri served with the all-black 10th Cavalry Regiment, one of six all-black regiments formed during the 1800’s. 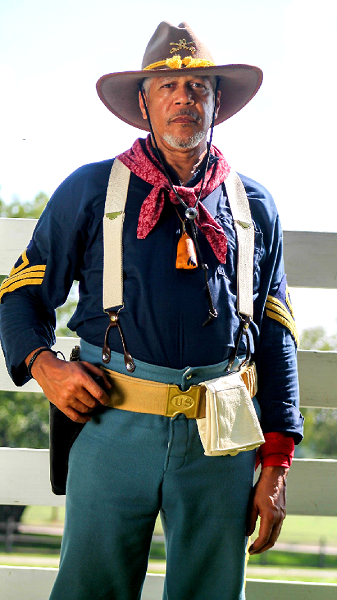 That’s how I got connected and became a reenactor for many years portraying a 10th Cavalry soldier. I learned how to ride a horse including all the commands for the horses. I bought all the equipment for the horse and uniform equipment for the Indian War Era. I also bought a horse, truck and trailer. I was on my way. Subsequently, I did three documentaries on the Buffalo Soldiers and attended Cavalry Camp at Fort Laramie, Wyoming learning all about the Calvary commands, calls, and maneuvers. One film was about Teddy Roosevelt and the Rough Riders. I participated in over forty reenactments in Colorado, Montana, Wyoming, Kansas, Missouri, New York, Indiana and Oklahoma. The last documentary I participated in was “Buffalo Soldiers: A Quest for Freedom” filmed in April 2018 and released the following September. Now most of my time is spent doing presentations about the Buffalo Soldiers’ accomplishments and achievements. Black regiments have served in all wars in which the United States was involved as a matter of fact. Not only the Indian Wars but the Spanish American War, Mexican Punitive Expedition, WWI, WWII and some units fought in the Korean Conflict, not to mention the Revolutionary War and Civil War. 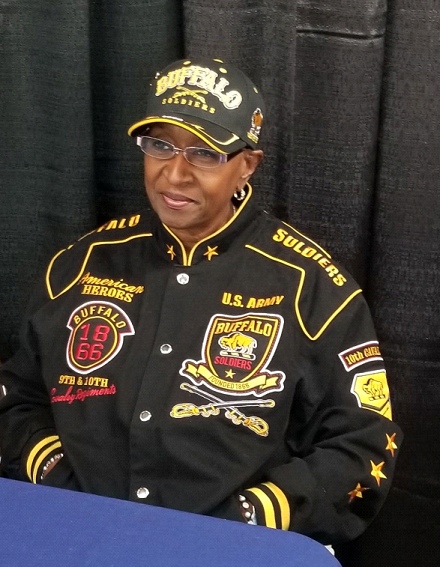 During 1992 chapters of Buffalo Soldiers were forming all over the United States by black soldiers (veterans) who were assigned to the overseas theater during WWII. They formed the 9th and 10th (Horse) Cavalry Association. This association is still active today. Having at least forty-one chapters. After the original president of the chapter stepped down after over thirty years of leadership for health reasons. I was then elected president of the local chapter. Our membership has risen steadily. All the original members are gone to what is called “Fiddlers’ Green.” A Cavalry poem by that name was created for all Cavalry members upon passing. There is a poem for Infantry as well. We keep the history alive for the younger people like the elders did for us. Knowing that schools will not teach the Buffalo Soldiers’ history today. The connection I have has been a very important part of history for me. The Buffalo Soldiers legacy marks an abrupt sea change in American history and the history of the world. Born in America and of African descent had been a constant barrier to full inclusion in the American experience and being appreciated for the value innate in all human beings. The legend of the Buffalo Soldiers forced America to reexamine its perception of Black men in the armed forces if not in society at large. Born in a small, southern town when Jim Crow ruled societal norms it is easy to succumb to the impressions implanted in every facet of your life. Two things prevented me from buying into the “norm” and seeking answers to that which just didn’t seem right. Fortunately, I was born and raised in a community that was for the most part almost 50/50 black and white. This being my personal norm said to me that I was not in the minority. Furthermore, there was a black land grant college in my community, Arkansas Agricultural, Mechanical and Normal College (AM&N) now known as the University of Arkansas at Pine Bluff founded in 1873 (my alma mater). This provided me with a world view at the time of professional, educated black people with advanced degrees in suits, ties, and dresses. How then could we be less than when that level of professionalism didn’t exist in any other community. Secondly, my father was a businessman and my mother was a business owner that eventually became the only black state official in Arkansas at the time. She is the one that gave me my introduction to the Buffalo Soldiers by telling me and my five brothers and sisters the stories her grandfather, Isaac Johnson, had told her as a child for nine years before passing December 7, 1931 when she was fifteen years old. Private Isaac Johnson, Company K, 24th Infantry Regiment, first enlisted in 1867. He later reenlisted June 14, 1878 at St. Louis, Missouri in Company F, 9th Cavalry Regiment. With a determined passion for the stories grandpa Johnson had shared with her, she spent forty years researching the information she had to find out more about what he was and what he had done. Much of this work was slow to develop due to poor record keeping in many of the places she visited in seven states searching for the truth. Eventually it led her to earn her Master of Education degree with emphasis in genealogy and further work toward a Specialist Degree. Remarkably, my mother, Eunice Davis (Johnson) Pettigrew, was distinguished by having her story of Isaac Johnson, entered into the 107th United States Congressional Record on February 12, 2002 entitled “Honoring a Buffalo Soldier.” She was further honored by having the United States flag flown over the U.S. Capitol on July 31, 2002 and presented to her. The accompanying certificate states in part “This flag was flown in honor of Isaac Johnson, former slave and member of the Buffalo Soldiers.” These recognitions came from the U.S. House of Representatives and the U.S. Senate respectively. I am a proud eight-year veteran of the United States Navy. During that time in service among other assignments I served as a Racial Awareness Facilitator and Command Ombudsman for the Seabee’s Amphibious Civil Engineer Corps of the U.S. Navy in Virginia. I received further training to become one of the first facilitators for the Navy’s Women in the Navy (WIN) Program. At the time of my discharge I was a member of a team assigned to the Commodore's Staff reviewing units under his command for racial diversity at the Pensacola, Florida Naval Air Station. On February 8, 2008 my mother passed and left me all her family research including that of Buffalo Soldier and great-grandfather Isaac Johnson. That was the most important treasure she could have left me, an understanding of where I came from and my place in the history of America. Because of this I am more than certain that I belong here in the place of my birth. Assured that no one granted my people a right to be here and that we are not footnotes to the history of this great nation. We are a proud part of that history and deservedly so. 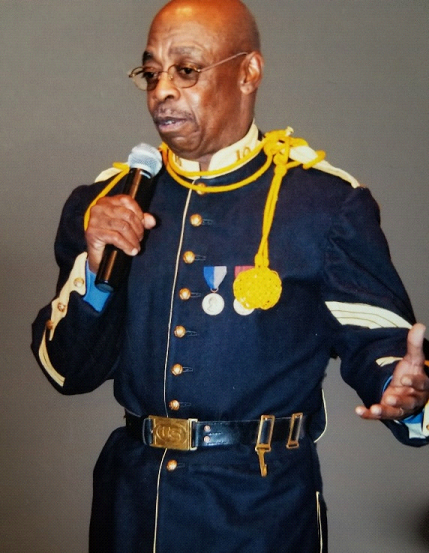 It is then my mission, as Executive Vice President and Historian of the Alexander/Madison Chapter of KC Area also known as Buffalo Soldiers, to provide an honest and accurate portrayal of the importance of the Buffalo Soldiers’ legacy. Everyone, regardless of race, age or any other demographic, is entitled to know that which is forgotten or overshadowed in our collective history. That we all fought, struggled and died to make America the great nation it is today. I further believe that it is harder to grasp patriotism when you are dismissed from the narrative of patriotic contributions and made in the past and present. Removing barriers of inclusion start with understanding yourself and others in light of the little-known heroic contributions made by the Buffalo Soldiers and those that followed. 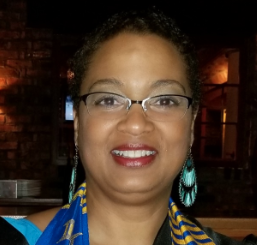 As a Certified Oral Storyteller, partner of Freedom’s Frontier National Heritage Area, member of the Speakers’ Bureau for the Missouri Humanities Council and teacher for the KC Veterans Writing Group to help veterans tell their military stories, I am dedicated to contributing by serving my community in the best way I can. As an Oral Historian I am dedicated to improving relationships through understanding how together we have made contributions that have altered the course of world history. I believe human relations benefit from knowledge and understanding. To that end I am forever dedicated. Let’s get down to brass tacks – I was a black kid raised in a white neighborhood and went to predominantly white schools. I was one of the smartest kids in my class so that you couldn’t tell me anything – I WASN’T any different than any of my classmates. It didn’t matter to me that I was the easiest kid to spot in the class picture. It was not until eighth-grade World History that I began to embrace my difference. When we got to the subject of Egypt, my teacher deviated from the lesson plan and told us to put our books away. It was then that my white history teacher boldly told the predominantly white class that the pharaohs were black. You could have heard a pin drop. Thus began my fascination with learning the truth about history – his story, her story, their story, my story, and our story. If a book of history was not giving us the whole truth, what other stories did I not know? I grew up knowing that both of my parents had come from mixed heritage – being only the third generation removed from slavery, I had multiple great-grandparents that were children of the master. As “migrants” from the inner-city, my own family had moved to the white suburbs when I was just four years old, and my parents just wanted us to blend in. And until I met my husband in my late twenties, I was very good at blending in. Eunice Davis (Johnson) Pettigrew, who was to become my mother-in-law, was a genealogist and loved to sit me down with her notes and pictures and teach me the stories of how her grandfather had been a Buffalo Soldier right after the Civil War. It made me proud that I was soon to become a member of her family – how far they had come from a slave boy whose only family had been sold away from him. Isaac Johnson gave the oath to serve and protect a country in which he had not even been granted the rights of citizenship. She wove tales of Jefferson Barracks in Saint Louis, Missouri and Fort Leavenworth in Kansas. These were places that were merely a stone’s throw from my Kansas City home, but I had never known of their significance. She told me that he was a member of the 24th Infantry and the 9th Cavalry and that he had gotten shot protecting the mail out West. 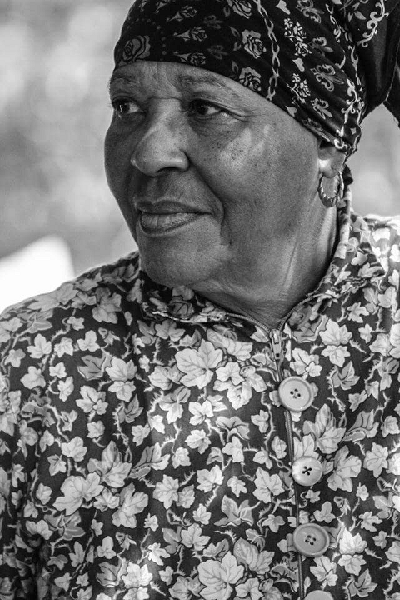 When she was near her end, Honey (as everyone in the family called her) took me aside and told me that she was leaving all her research to my husband in her will. I asked her why she felt the need to tell me, as it was his legacy. She leaned over and whispered in my ear that she knew that after both she and my husband were gone, I would continue the work. I strive consistently to keep her faith in me. For twenty years my husband and I had heard tell of an organization of Buffalo Soldiers. Unfortunately, every time we had tracked them down to an appearance or an event, the Buffalo Soldiers had just left. One Saturday afternoon, we noticed a Mid-Continent Library presentation on the Buffalo Soldiers and went hoping to learn something new. Fate smiled on us that day, as the presenters turned out to be members of the organization for which we had searched high and low for what seemed like forever. My Buffalo Soldier connection was through my father, who was drafted during WWII, PFC 10th Cavalry Regiment, 1942-1945. He learned to ride horses at Camp Lockett, CA. Some of his duties were radio operator, guarding the railroad between the Mexican and California border; his troop also helped forest rangers fight forest fires. Late 1943 he was sent to Fort Riley, KS for weapon training before being sent to North Africa, France, and Italy. He was discharged in Seattle, WA in 1945. He didn’t talk much about his experience during the war, but he mentioned the term “Buffalo Soldiers” a few times. He said he didn’t know much about them, due to the publishers systematically omitting most of American history pertaining to African Americans, even to this day. He thought, during his young years, that the mane “buffalo soldier” was an insult until he began researching their history. He loved to read, and history was one of his favorite subjects. Before the association was officially organized, a group of veterans gathered to reminisce about their combat experiences. Their meeting place was the old National Guard Armory located at 19th and Highland, in the 18th and Vine District, KCMO. On July 28, 1966 they gathered for their annual meeting, it was brought to their attention that on that day, one hundred years ago, six all black regiments were formed. That was the beginning of the 9th & 10th Cavalry Association, (Horse) was later added to distinguish them from other cavalry units. The purpose was to keep the legacy and history alive. The association of WWII veterans on both sides of the MO/Kansas state line worked with General Colin Powell before his promotion to Chairman of the Joint Chief of Staff. Commander Carlton G. Philpot replaced Gen. Powell, the Buffalo Soldier Monument was built and dedicated at Fort Leavenworth, Kansas. On the day of the dedication, the Greater KC-Leavenworth Area Chapter (GKCLAC) became the first chapter of the National Association. After the dedication of the monument, GKCLAC was asked to appear and talk about the buffalo soldiers. My dad was a good storyteller, and used his storytelling skills to teach school children, teachers and people of all walks of life about the Buffalo Soldiers. It was late in the 1980’s that I was made aware that something was going on. My dad was a busy man, always moving and constantly involved in something. When he began telling me about the project he was working on, I was shown pictures and was supplied with articles and books about that silent history. I was drawn by the stories he told during their presentations and wanted to know more. He and Commander Philpot helped me, and some friends establish a support organization called the Descendants and Friends of Buffalo Soldiers (DFBS). We helped their chapter with sale items at various events. The organization disbanded in 2006 to become associate members of the National Association and local chapter. As the original chapter member’s health began to fail or transitioned to Fiddler’s Green, it was apparent that my dad needed help. I would do what I could to help him continue the fight to keep their story in the public eye. His was so dedicated that he would hot turn down a request. If he was able, he appeared, usually alone. My dad was a hard act to follow; I’m trying not to let my buffalo soldier years, of the next one hundred, be dormant. My interest in becoming part of the Alexander/Madison Chapter of KC Area Buffalo Soldiers started in 1994. After my husband became a chapter member he spoke to me of it’s detailed history of these men, black men in the military I had never heard about. They were Buffalo Soldiers. That piqued my interest, I wanted to be part of that cause to be helpful. I was accepted as the Educational Coordinator and later the Quartermaster as well. My duties include reaching out to schools, businesses, churches, organizations and groups informing them of our presence and the importance of our history. Not just black history but American history. By getting involved, my husband found that several of his family members were Buffalo Soldiers. It is a very exciting and important part of my life. I thank our Lord for the strength and his blessings.